“Xin chào” - Welcome to Hanoi. You will be welcomed by our guide and driver upon arrival then transfer to hotel in city for check in. (Check in time: 14.00. Early check in at surcharge). Free at leisure on your own. 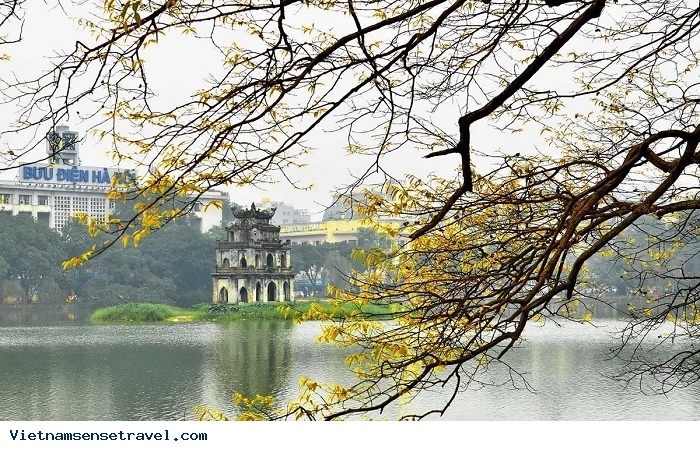 After breakfast, meet your guide at hotel for a full day tour around Hanoi with a start at Ho Chi Minh Complex includes: Ba Dinh Square, Ho Chi Minh Mausoleum (from outside), the Presidential Palace, the house on stilt, the botanical garden and the One-pillar pagoda. This used to be the residence of the Governor of Indochina until 1954, it became the place where President Ho Chi Minh lived and worked until his last day. 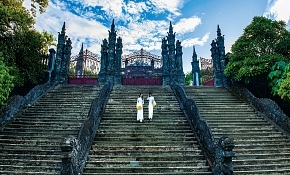 Keep driving to Temple of Literature – the first university of Vietnam and also the place where worship Confucius. 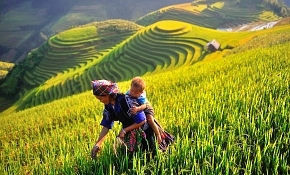 Coming here, you will have a talk deep with our guide about education history of Vietnam since a thousand year ago until now. Lunch at local restaurant then spend your time to learn about the bitter sweet history of Vietnam at Hoa Lo Prison. Hoa Lo Prison was built in 1896 by the French to house Vietnamese patriots during Indochina War, and later, it was used by Vietnamese to hold American pilots who were shot down during the Vietnam War. Hoa Lo Prison also had other name as “Maison Central” by the French and “Hanoi Hilton” by American servicemen. 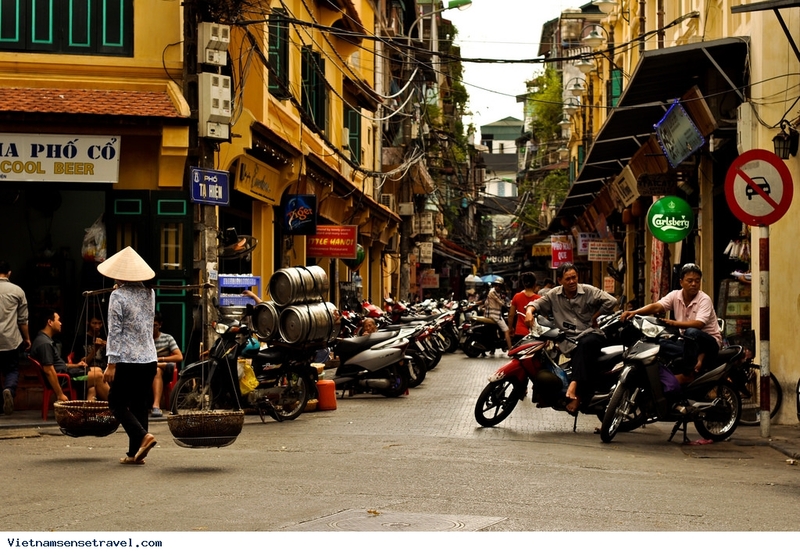 Continue with one hour for cyclo tour around the Old Quarter - the bustling heart of Hanoi to see the daily life of local people and French architecture along ancient streets. Skilled craftsmen started to migrate and artisan guilds were formed on the famous "36 Streets", the Old Quarter has been a commercial center since the 11th century. Breakfast at hotel then driving across the Red River Delta to Halong City. Have a short time to relax at the cruise lounge before embark the cruise. Take your key from the crew and enjoy relaxing time in your own cabin or at sundeck before having lunch at the restaurant. 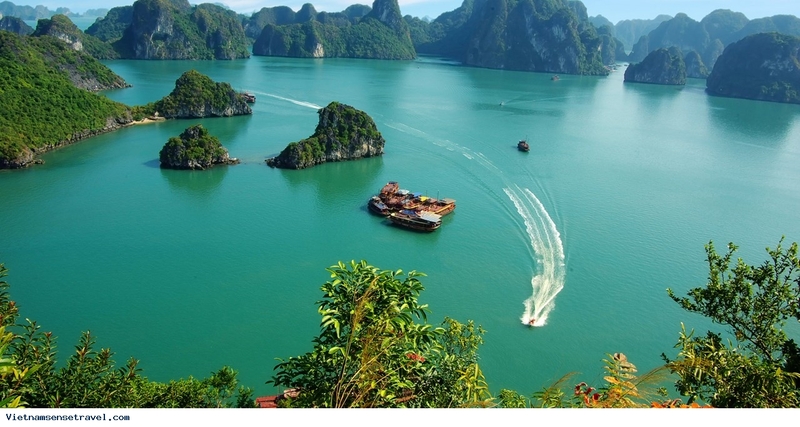 After lunch, continue your journey to discover Halong Bay – the UNESCO World Heritage Site in Northern Vietnam. Depend on the each cruise's itinerary, you will take part in different schedule during the trip as visiting a beautiful cave, have some swimming (if permits) or other activities like sunset party, cooking demonstration etc before dinner. After dinner is your free time. You may choose to enjoy fresh air on the sundeck or playing board games or try your luck with squid fishing. If you don’t mind, please try to wake up early and join the Taichi class with the crew and enjoy watching sunrise on the bay. Take part in other activities of the 2nd day while the boat cruise back to the Habour. Meet your guide and driver again for transfer to Hanoi airport for flight to Danang. Upon arrival Danang airport, meet your guide and transfer to hotel in Hoi An for check in. 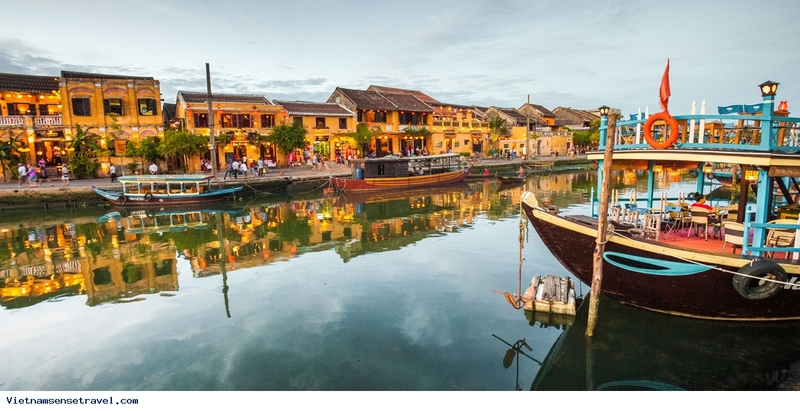 Morning, take a short walking tour around Hoi An Town across ancient streets of Hoi An, lined with Chinese traders’ homes and wooden houses reincarnated as restaurants, cafés, and outlets for local artists, craftsmen and tailors. Explore 400 years old Japanese Bridge, 300 years old Chinese temple, 200 years old Vietnamese former merchants' house etc. Breakfast at hotel then meet your guide for transfer to Danang airport for flight to Saigon. Upon arrival Ho Chi Minh airport, you will be transferred to local restaurant for lunch. Afternoon, enjoy a city tour to The Reunification Palace, the former residence of the President of South Vietnam until April 30, 1975. Close to the palace some of the best examples of French colonial architecture are represented in the forms of Notre Dame Cathedral (outside) and the Central Post Office. 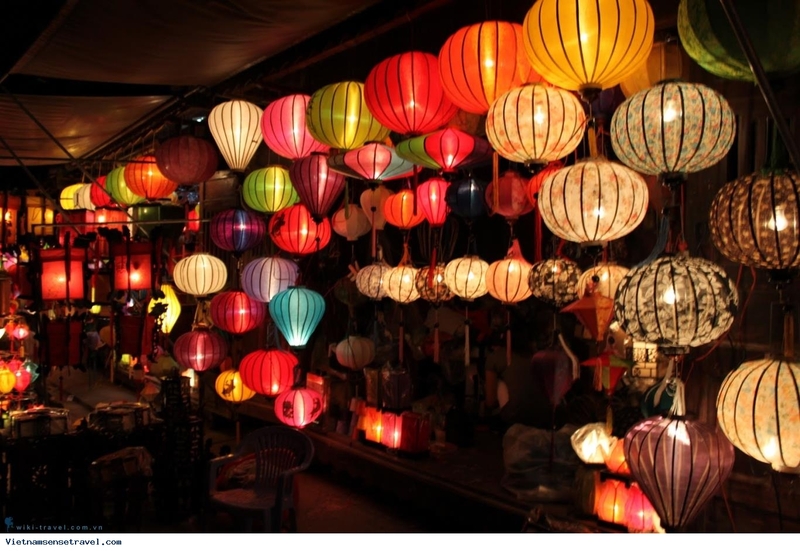 Finish the day with a stop at Ben Thanh Market where you could try your ability in bargain to get unforgettable gifts to your family and friends at home. 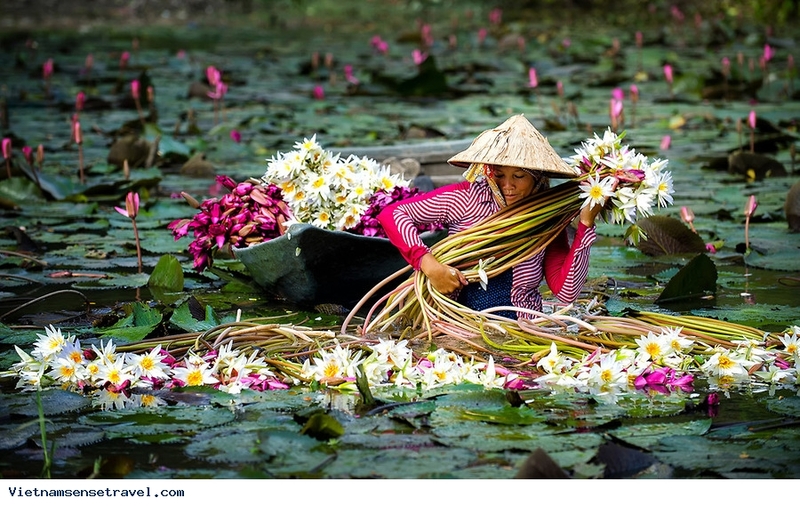 Your guide will meet you at hotel then take a beautiful drive through the Mekong Delta. 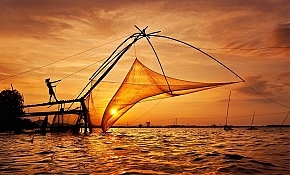 Known as the rice bowl of Vietnam because of its large rice production, the area has also diversified into activities related to aquaculture. 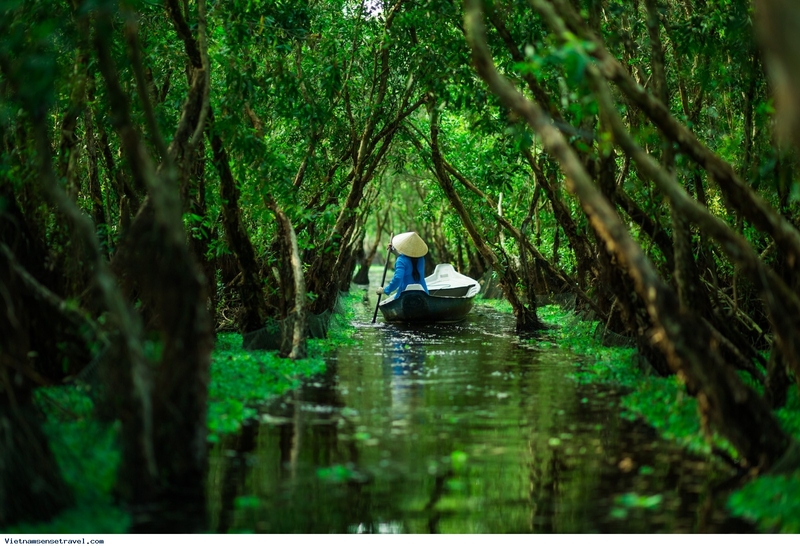 Embark your boat at Hung Vuong Pier for boat trip on Ben Tre river. 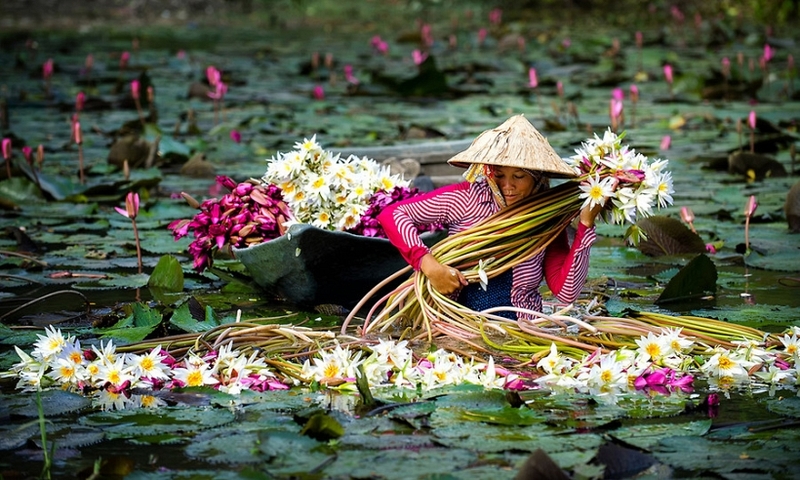 You will witness lively activities in morning as fishing, coconut cargo boats carrying on river, visit a traditional brickwork to see how to make bricks by hand, have a look stages of coconut processing from husk off, prize out to peel out by hand at a coconut workshop. 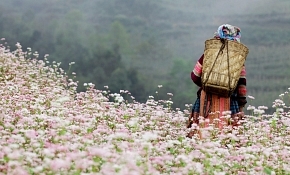 Go on small waterway and stop at local house to see feeding bee, enjoy honey tea. Walking along canal to coconut candy workshop, have a look them making candy by hand, try some sweet, enjoy some fruits and listen to local music as well. 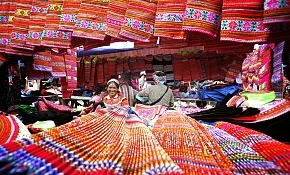 Go on by boat, and walk to farmer house who making sleeping mats. Continue with a ride on rural tracks or drive tuktuk through coconut grove, vegetable plains (cucumber, bitter melon...). Keep going by row boat on shady palm tree canal and stop for lunch at riverside restaurant. Boating back Hùng vương pier by motorboat. Meet your driver again for transfer back to Saigon. 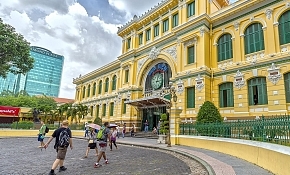 Enjoy the last day in Ho Chi Minh City on your own before transfer to Tan Son Nhat airport for flight back home.